The Mayors' Council of Oklahoma was formed in 1991 as a bipartisan organization to represent the concerns and views of the body of the state’s Mayors. MCO provides a vehicle for the development and implementation of programs of multi-jurisdictional cooperation between cities and towns designed to lessen the burden on local government. Oklahoma Mayors make the commitment to work through the conference to improve their own communities as well as the conditions facing cities and towns throughout the state and nation. 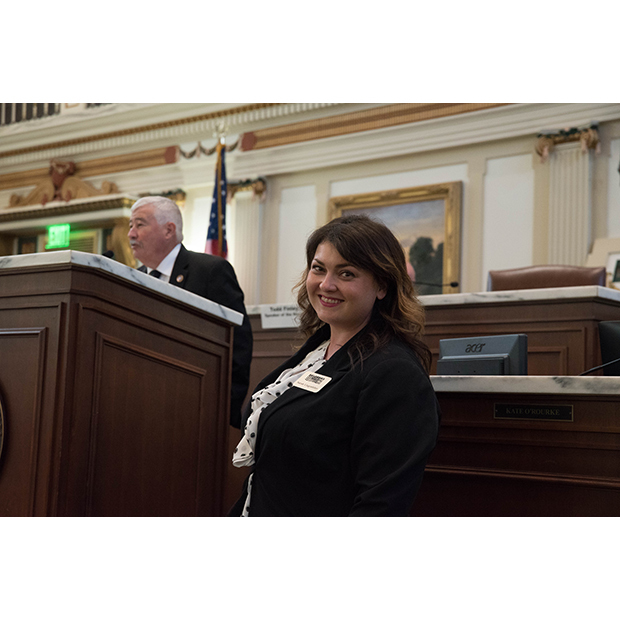 MCO has developed several programs to educate and encourage mayors, including the Oklahoma Mayor of the Year Award, MCO/OML Municipal Government Day at the Capitol and the MCO Summer Conference. Check here for latest events! Please consider joining this dynamic organization and let us help you reach your full potential as an Oklahoma mayor. The two Mayor of the Year award recipients are recognized for their continued dedication and vision for their individual communities. The awards are given to one municipality of 5,000 or more and one municipality of less than 5,000 in population. Nomination form for 2019 Mayor of the Year awards coming soon. The GRIP program will allow us to make quick contact with you, who in turn, can make quick contact with your legislator(s) on issues of importance to you during the legislative session.